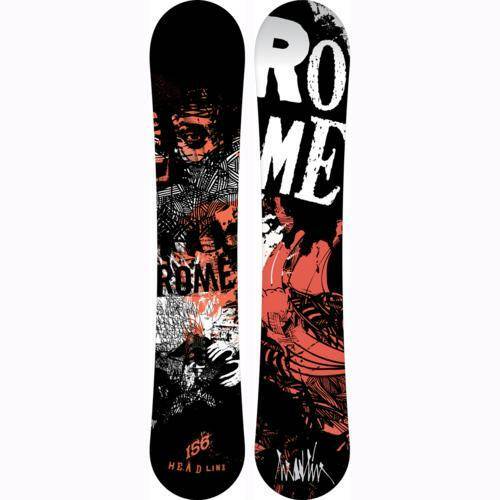 The Rome Headline is the Rome Anthem at a lower price point for a more entry level aggressive rider. It’s just a little bit slower due to the base. 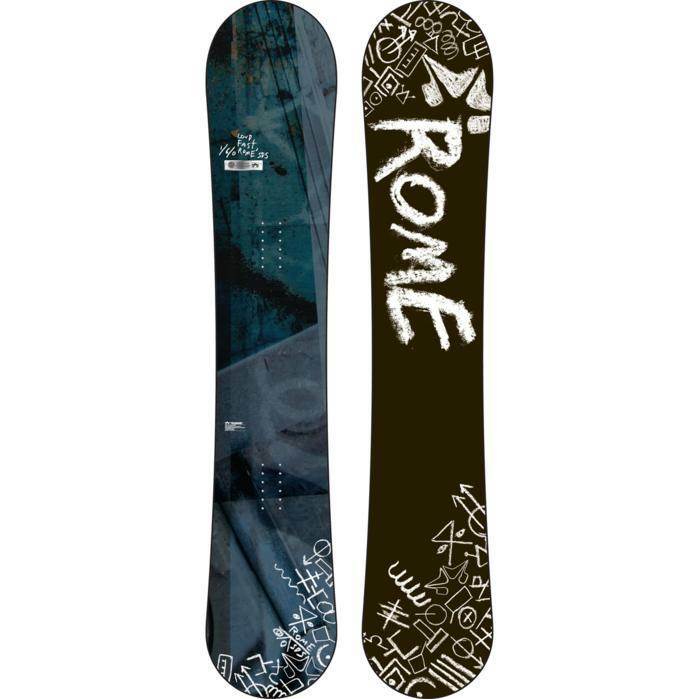 Their aren’t many boards with this flex, shape and riding characteristics. 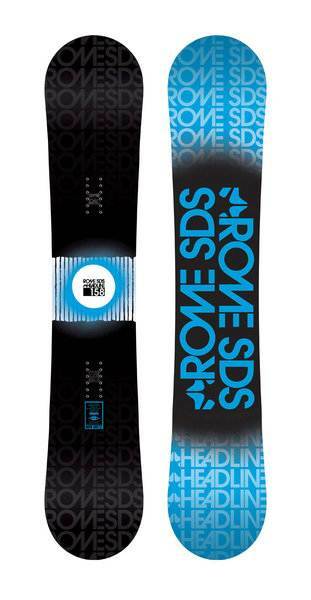 For 2011 The Headline added hybrid camber that is very similar to the Rome Anthem. 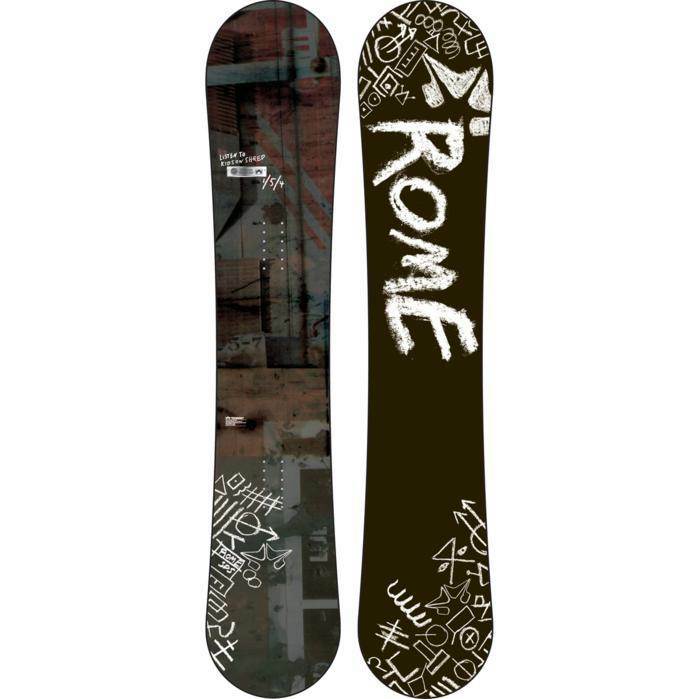 The 2012 is the same and it’s a really fun board to lay into a carve. Conditions: semi-hard at the top and really good at the bottom. At the end of the day it got a little chopped up. 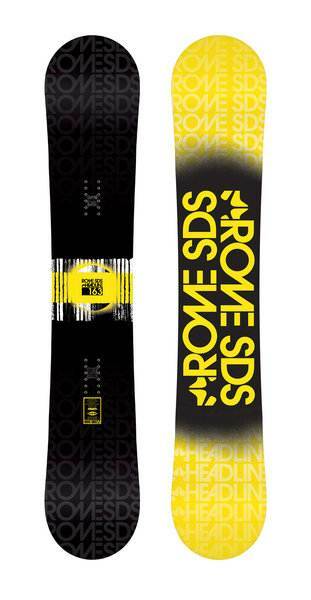 Set Up- Approximately 23″ wide 15 front -6 back and set back about -10mm. 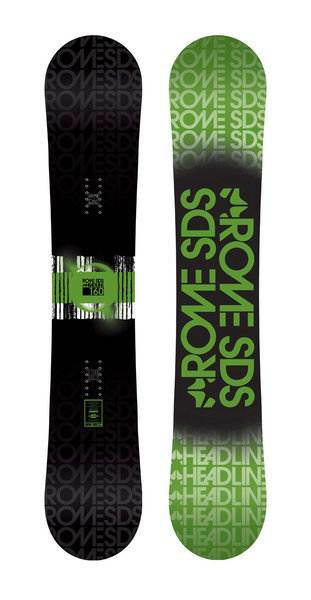 The Rome Headline fit’s in a weird spot right in between the Rome Anthem and the Rome Crail. 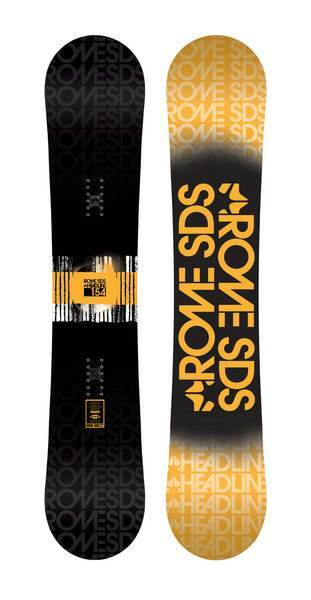 It’s more aggressive than the Crail and as aggressive as the Anthem but just weighs more and has a different side cut.. The best part of this board was leaning into a carve. The edge held in just about anything. We had hard conditions in the morning along with some loose and softer conditions in the afternoon. We were very impressed with how it held an edge but it was hard to find ice so we can’t say it will grip anything but still it had one of the more grippy rides we encountered. Here is a quick look at the board and then off to the review. 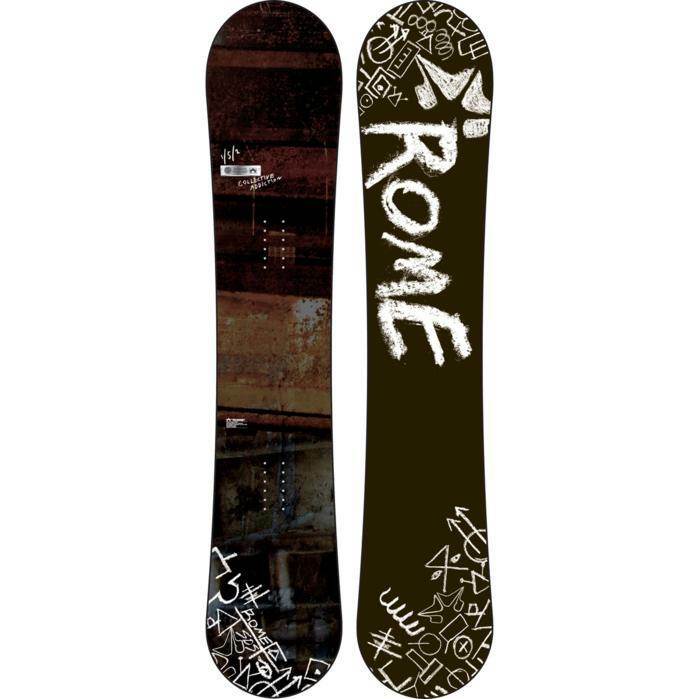 On Snow Feel: The Headline lives for directional riding on the mountain and is made for those that like to carve. Powder: The Headline’s hybrid camber offers a little better float in powder but it’s still on the camber side of things. The 20mm set back helps as well. That being said this will not compete with the effortless float in powder that many other hybrid shapes out there. Turn Initiation and Carving: It takes more work than many boards in it’s class but if you have your fundamentals down (advanced/expert) or want something that will be challanging as you get them down (intermediate) the Headline will be a good choice. It’s a very smooth feel going from edge to edge and a slight bit more sluggish than the Anthem. Short turns can be done with some work but this shines when you engage in faster wider turns. 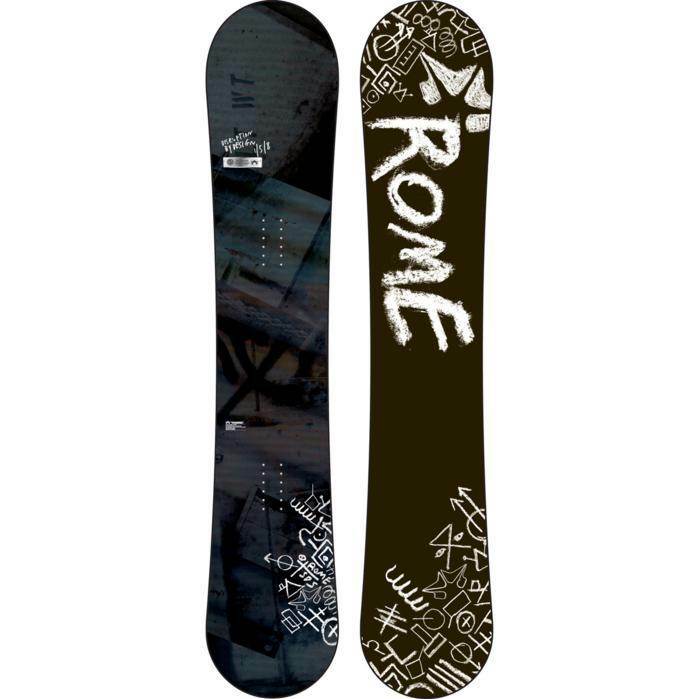 This is very similar to the Rome Anthem when it comes to making a carve except it has the Quick Rip Side Cut changes it up a little bit. 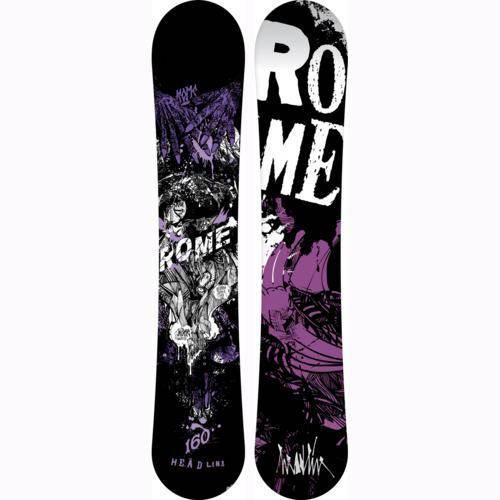 It was not as stunning as it was with the hybrid rocker rome boards we tried because you are expecting this type of carve. Still it held a great edge and was very very fun to carve out a turn. 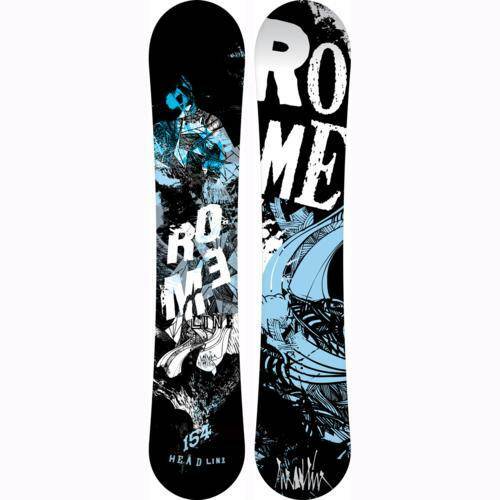 The Rome Headline shines if you are someone who wants to make or perfect real carving turns. 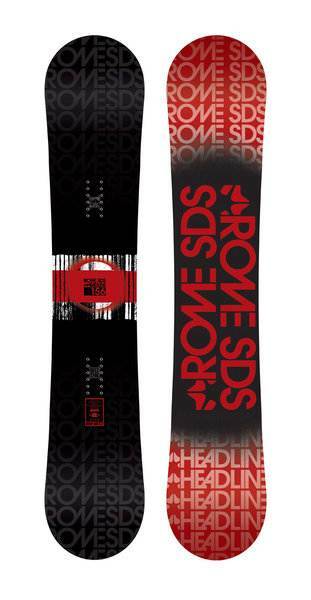 Speed: Not quite as fast as the Rome Anthem but it’s border line excellent. It’s very comfortable with a straight line of any speed. If it had a little faster base it would be right there with the Anthem. Uneven Terrain: Like the Anthem it’s not too much fun when it the groomers are gone. You can feel a lot of the shock move up into your body. 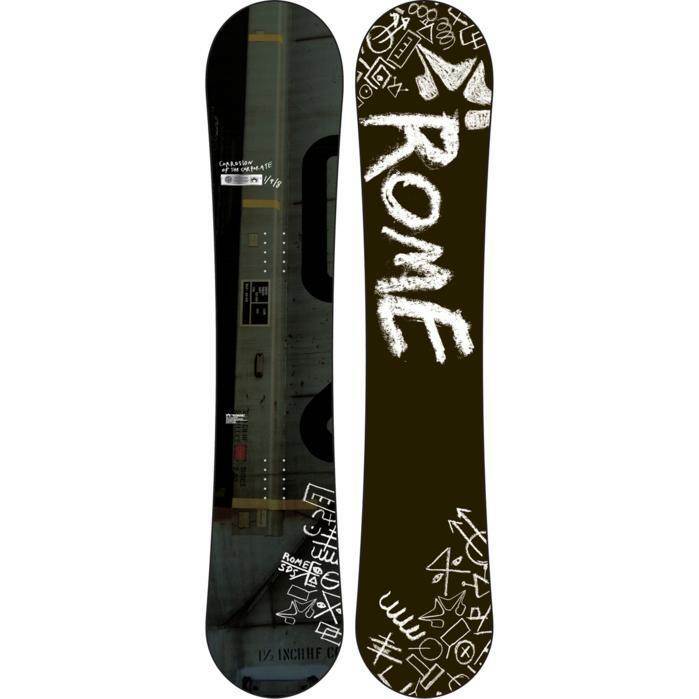 Approximate Weight– Not heavy and felt like your average board. Edge Hold: The extension of the edge a little after the feet really makes a huge difference with this mostly camber ride. Both of us who rode this feel that the Anthem has excellent edge hold but we feel that the Headline is better here. So if you ride in harder conditions this would be a better call over the Anthem. 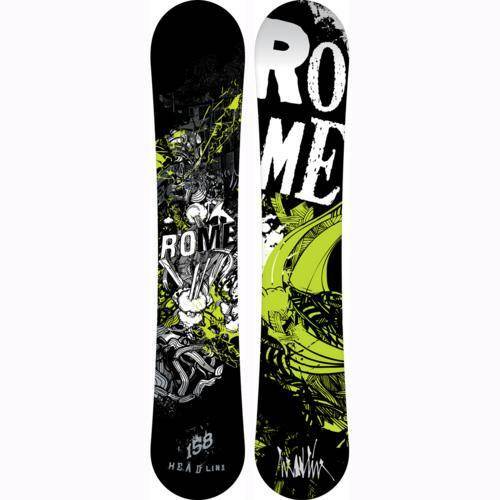 We felt this grip just like a Magnetraction board and no matter where we went in varied conditions from snowment to slush we never had a worry about loosing an edge no matter how committed we were in a turn. Flex: This is closer to the stiff side of medium and it feels more aggressive for it’s flex. It’s not super fun to butter but it’s easier than the older camber version. Jibbing- Nah don’t do it. Pipe: The edge hold is there for any pipe wall but it might not be the best if you are an advanced pipe rider who likes more of a directional twin ride. For most this will be pretty fun just going from wall to wall. Jumps:It’s not going to win any awards in the pop category but it’s not lifeless either. 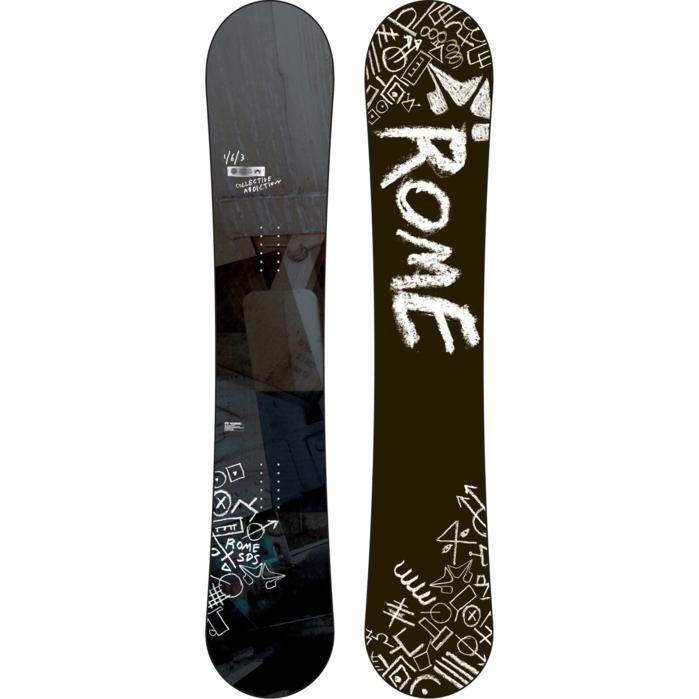 It’s right in the middle between a lively camber board and a flat/rocker board. It’s ok generating your own air and pretty fun off the roller coaster line but if you are into lapping the jump park then there are definitely better boards here. 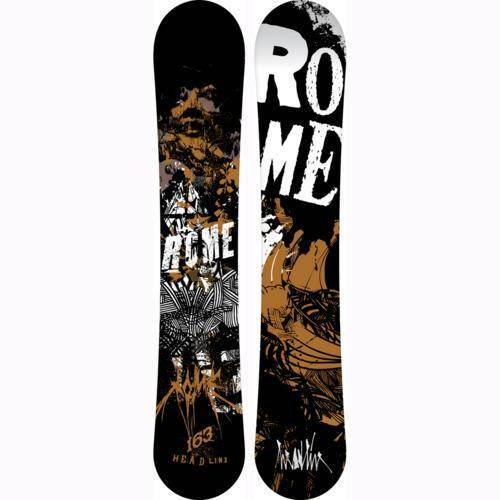 The pop from this board is best for springing out of a carve instead of a big ollie. All in all we felt the Headline isn’t for everyone but it could make the right kind of rider very happy. We try to get as many images of the Rome Headline, but forgive us if they're not all there.